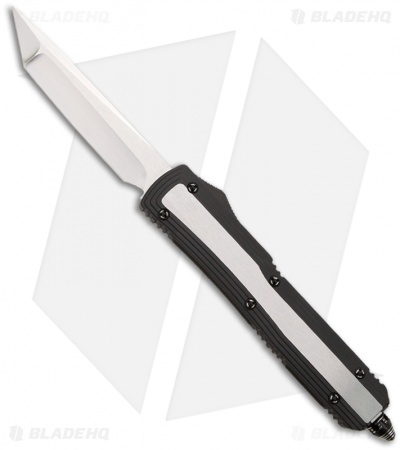 The Microtech Dark Element is a very rare Marfione Custom knife with a design based on elements of the popular Ultratech series. This Element features a two-tone stainless steel frame; black with satin faces. 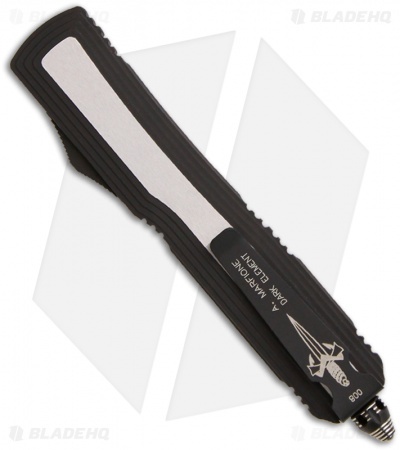 Black glass breaker tip and pocket clip with the Marfione Dagger logo, serial number, model and maker (A. MARFIONE). 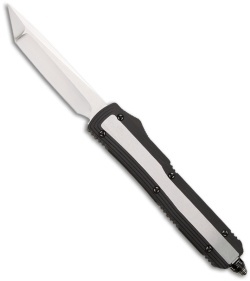 The tanto blade is hand ground and satin rubbed. The Element includes a black nylon case.